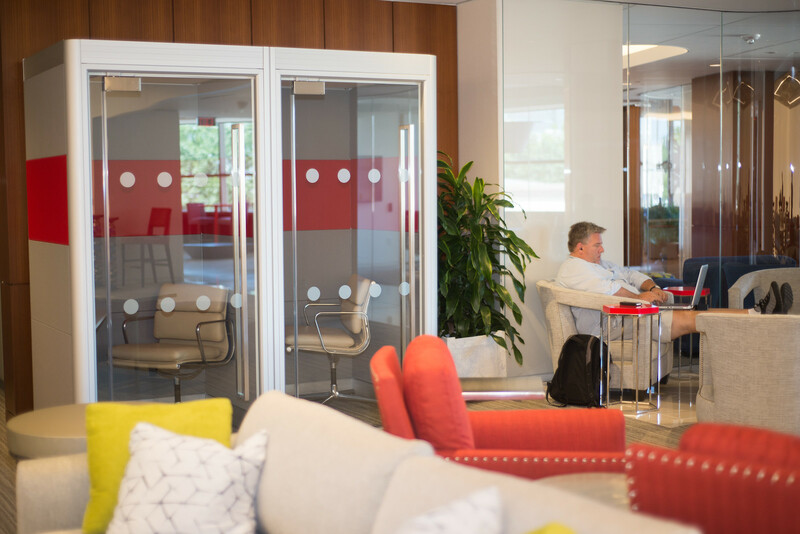 Coworking in Greenville is better than ever. Endeavor brings together creative companies, creatives working independently or at agencies, marketers on corporate brand teams, vendors who work closely with creatives, and those who simply want to support creativity in Greenville—cultivating relationships, business growth, shared success and great ideas. 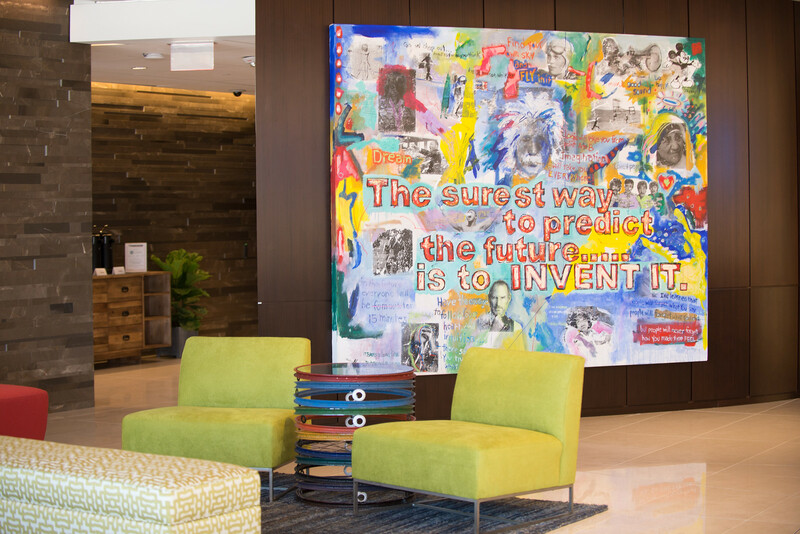 With more than 20,000 square feet in the ONE building on Greenville’s City Plaza, Endeavor levels the playing field by giving creative entrepreneurs the tools to excel, with high-end workspaces, presentation rooms and technology you’ll be proud to share with clients. 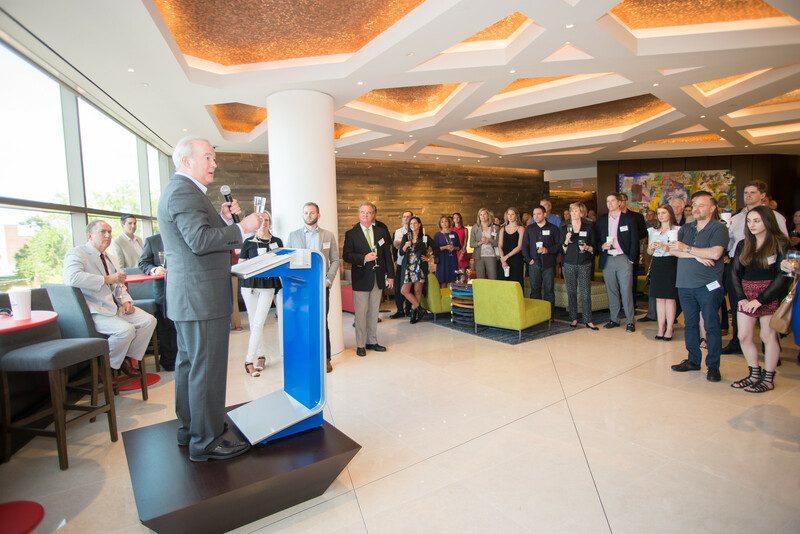 A great benefit of membership is Endeavor's series of monthly networking events called Collaborators & Cocktails. 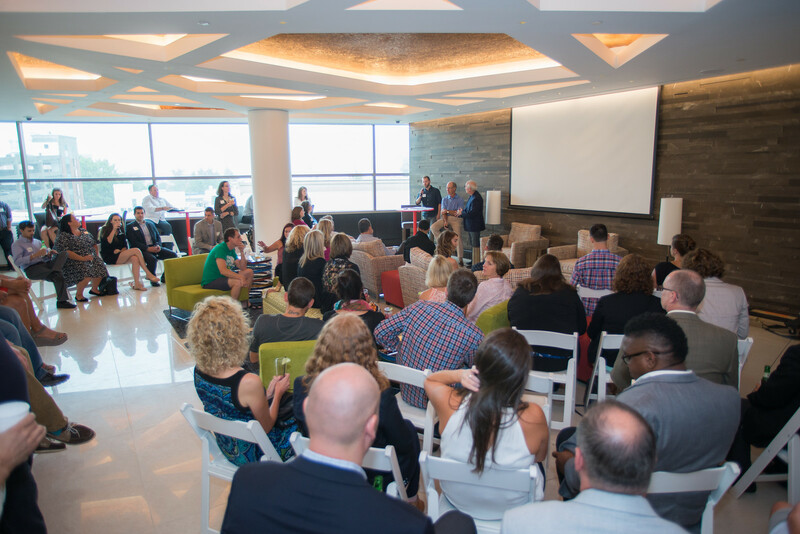 Speakers have included marketing leaders from stellar brands like Southwest Airlines, Chick-fil-A, Ritz Carlton, and Denny's. They are free to all Endeavor members and corporate members, with a limited number of guest tickets available for $30. Registration is required, no walks-in accepted. 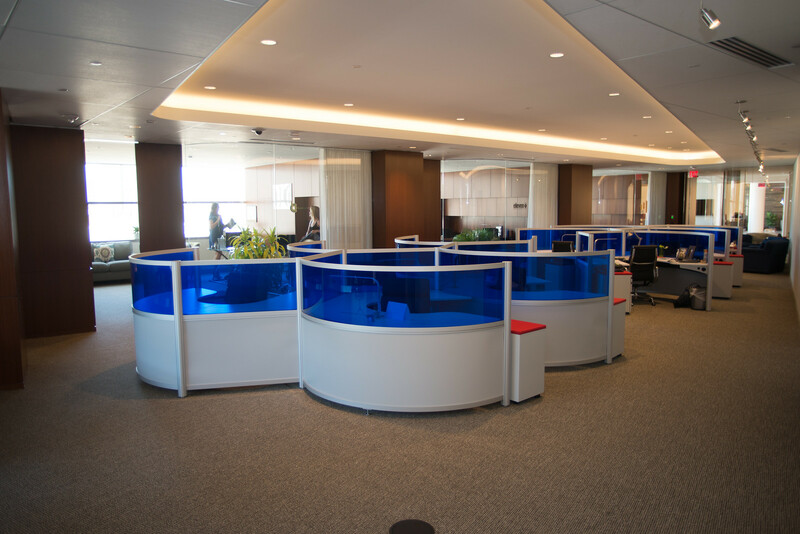 Members with lockable offices and some private desks have 24/7 access. Daytime member hours are M-F, 8:30 AM - 5:00 PM. Individual daytime memberships for creatives range from $350 for all weekdays per month, $200 for 10 weekdays per month, to $125 for 5 weekdays per month. We also offer a $25 day pass. We also have a number of different levels of daytime memberships available for corporate, agency and non-profit teams. Please call us for more information and pricing. Are you a member of Endeavor? "Great space to grow your business!" My partner and I worked out of our homes for a while, but both of our businesses began to grow and we needed facilities to host events, hold meetings, and a private office to do the strategic work of growth. Endeavor provides all of that! And the facilities are top notch, right on Main St. downtown Greenville, and led by the nicest most capable team. 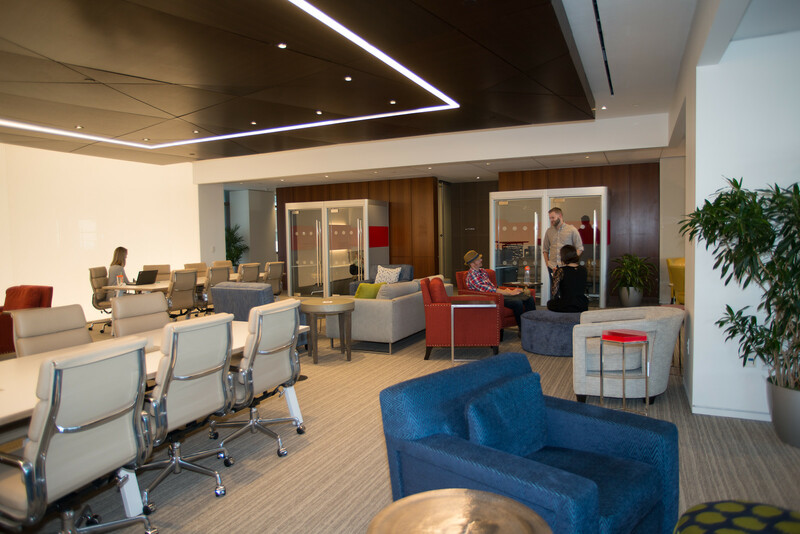 We use the facilities periodically to host groups of clients for consulting and education, and the Endeavor team always works with us to make our visitors feel welcome. Glad to be growing our businesses at Endeavor! 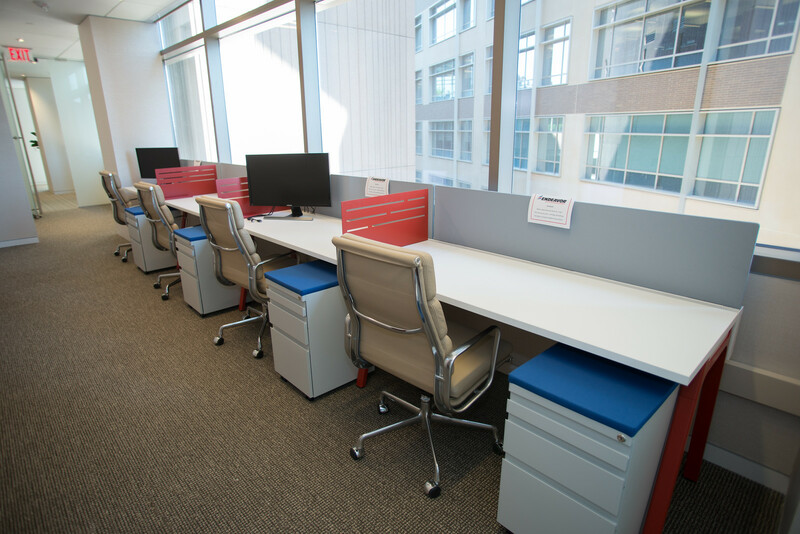 "Perfect Spot in the Heart of Downtown"
Endeavor provides such a wonderful space to work out of the home or away from the office. The staff and other members are courteous, professional, and always willing to help. 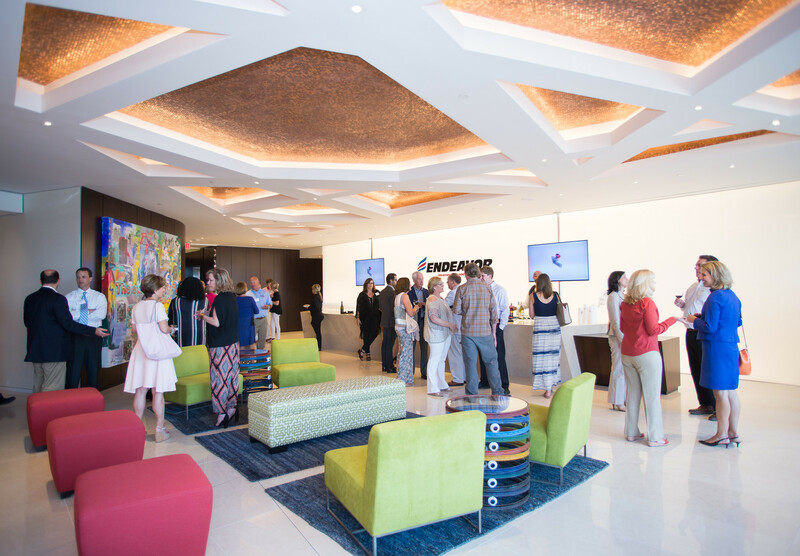 The space is beautiful, the amenities are top-notch, and the opportunities Endeavor creates for collaboration and networking are exceptional. The location is perfect not only for me but also for any guests I may need to meet with. 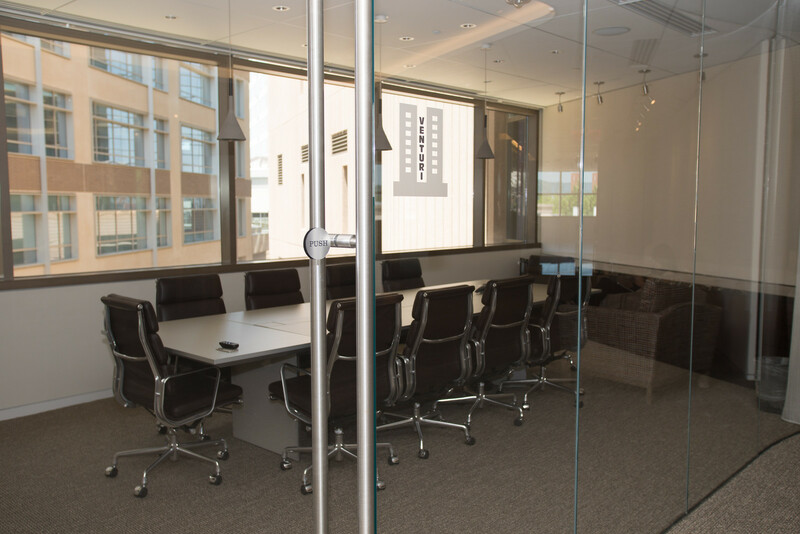 There is easy parking, easy access to the building, and most importantly plenty of meeting space. I look forward to the days I get to work from Endeavor because I know I will be greeted with a smile...and that the coffee will be ready! "Great place to show off and host meetings!" After working out of my home office for 5.5 years, it was finally time to find a space that got me out of the house and around people more frequently. I sought out various spaces in town and landed on Endeavor. You can't beat the location in the heart of downtown Greenville and the easy walking access to any restaurant off North Main Street. 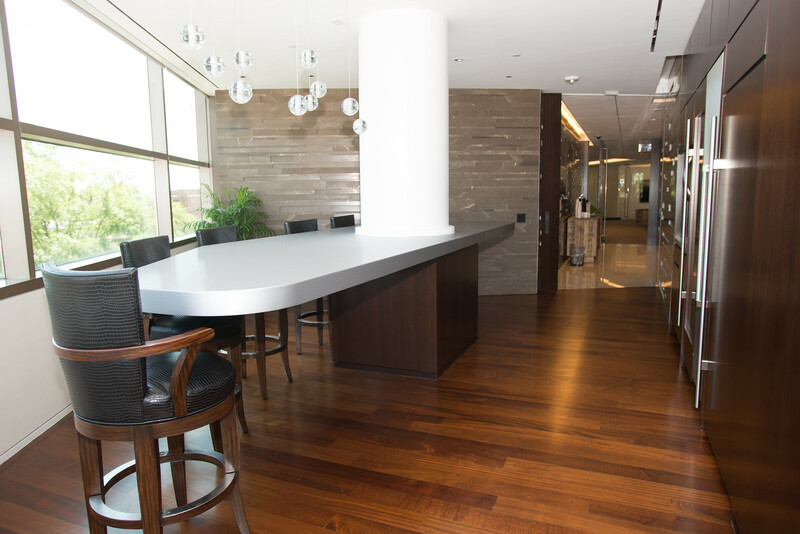 It is the perfect space to host my quarterly peer group meetings and bring my clients. The Endeavor team couldn't be friendlier and do everything they can to make sure we (members) are happy and taken care of (i.e. I've forgotten device chargers a few times and they have extras on hand to loan out; a life saver)! They also do a great job giving members the opportunity to connect with each other via events throughout the month. With a random traveling schedule, I also really love the flexibility of toggling between the 5-day or 10-day per month memberships. Can't say enough good things about the space and people! "Awesome place to grow your business!" My company has rented desk space at Endeavor since the doors opened back in 2016. We have thoroughly enjoyed being a part of the community. It's a beautiful workspace, but it also has proven to be a great place to grow our network and serve our Greenville based clients. The staff is extremely helpful and friendly, and they consistently pull together fantastic events that feature speakers who are thought leaders in the marketing industry. 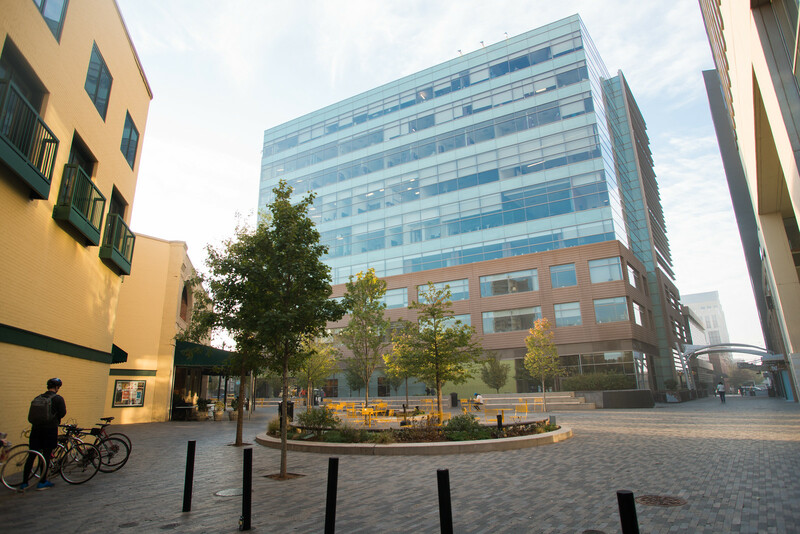 Another perk is that Endeavor is conveniently located in the heart of downtown Greenville. I highly recommend this co-work space to fellow marketing and advertising folks. "Perfect for My Working Remotely"
I come in every day to work remotely full-time for my employer in California. Having a place to "go to work" helps me to focus, but the Endeavor space is ideal. 1. Networking. I've met and talked shop with several other professionals. That interaction has advanced our work. The people here are amazing. 2. Amenities. The internet access is always humming, the phone booths and conference rooms make facilitate my communication, and the coffee is always available. An occasional visit to the gym keeps my body and brain engaged. 3. Events. Leading professionals and members themselves speak at events that educate and provoke discussion. I've also hosted a few informal lunch-and-learns. A few other benefits don't hurt: beautiful views of the city and Paris Mountain, a public candy bowl, a convenient downtown location to restaurants and shops, and a variety of comfortable work spaces to choose from on a whim. "Reasons why 12 of us use the Endeavor co-working space"
We've just passed the 2 year mark as part of the Endeavor creative, co-working community. We've grown to 12 team members while getting to interact with scores of other talented members throughout the spacious surroundings. The location is ideal as it's situated in the center of a thriving and growing downtown scene. The incredible supporting staff, the facility, the vibe and the monthly events are simply amazing. Evidenced by industry leading executives who give of their time to share their experiences as part of Endeavor's benefits. These monthly collaborative events help promote an inclusive environment of professional growth and learning that we all look forward to as each announcement is made! You won't find a more superbly run co-working space - or at a minimum you'll experience the best of the best. 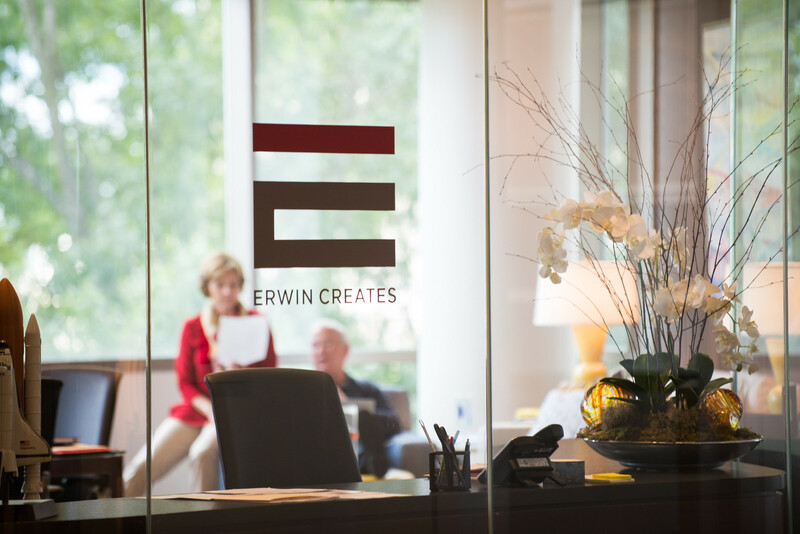 "Great space, great people and additional business"
Endeavor is an excellent place to work, and is arguably the best space in Greenville. The setup throughout, not to mention the people and companies from various disciplines and backgrounds, fosters creativity and collaboration. Having an office there and networking with the members has led to several new clients and increased exposure for our company. The space includes a gym, impressive conference rooms, a private kitchen, breakout rooms, etc...and good coffee. Best of all are the people. They're open to any ideas to give their tenants and our prospective/existing clients the best experience possible, and overall are a pleasure to know and work with. 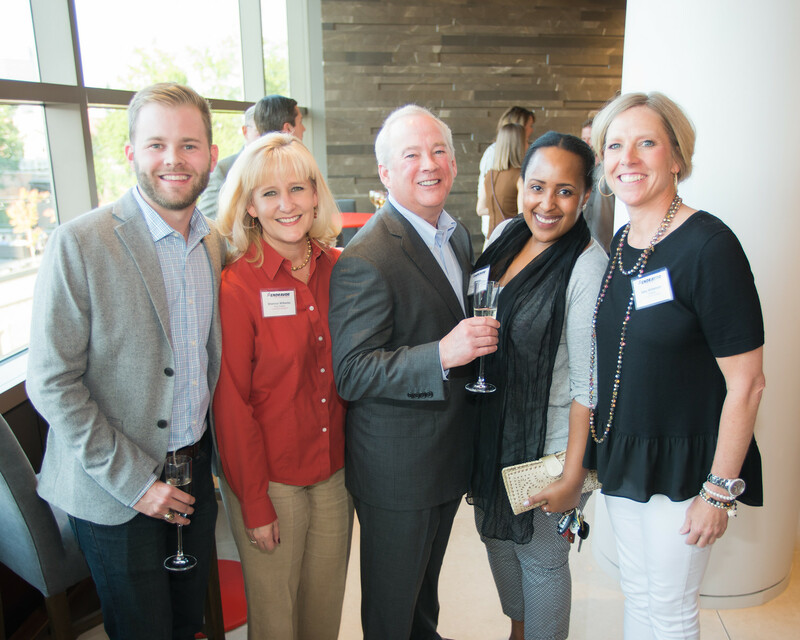 Regular member and networking events make it easy to meet new people from the Greenville business community and beyond. "I am so glad that I was introduced to Endeavor as a student! " As a current student about to graduate from college, Endeavor is an open, modern, and inviting office and events space that I could easily see myself working in. The best part about Endeavor is the staff - the Endeavor family is incredibly welcoming and they always make me feel like I'm at home. 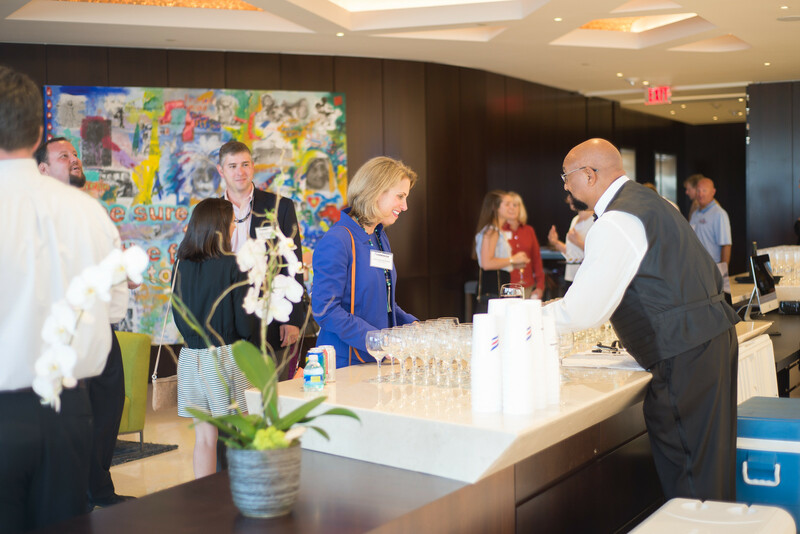 Plus, there are always so many exciting events going on, especially the Collaborators & Cocktails event, which make it really easy to network with professionals from many different fields. I am so glad that I was introduced to Endeavor as a student! "Excellent place to take your business to the next level"
The location, amenities, and (especially) staff all perform to provide a great working environment. However you envision your business in the future, Endeavor will help bring the right opportunities to make it real. "Endeavor is top notch in every way"
Endeavor is unmatched in Greenville. Yes, there are other cowork spaces, but in my personal experience, this is the place to be. The central location on Main St, modern finishes, amenities (gym access 24/7!) and of course, the members, are the best. I have enjoyed getting to know the members through monthly sessions educating the team about their service offering, and the monthly networking/professional development sessions (Cocktails & Collaborators) are fabulous. If you're looking for a new cowork home in Greenville, you'd be wise to put Endeavor at the top of your wish list. I was working out of my house for about a year and a half before Endeavor opened and it has been an absolute godsend for me! It has not only become a very useful place to take calls and crank out work, it's also become a great way to meet and collaborate with other creative professionals. I've developed new relationships and strengthened old ones by being a member and netted new business as a result. All of this on top of incredible benefits like free admission to Cocktails & Collaborators, on-site legal advice and beautiful meeting spaces. Couldn’t ask for more! "Comfortable, relaxing & productive space in a friendly, creative community. " I truly enjoy each day I'm working at Endeavor. The Endeavor team and its members are fun, welcoming and helpful. The space itself is very inviting and comfy. It's easy for me to focus, hunker down and be very productive for long periods of time. 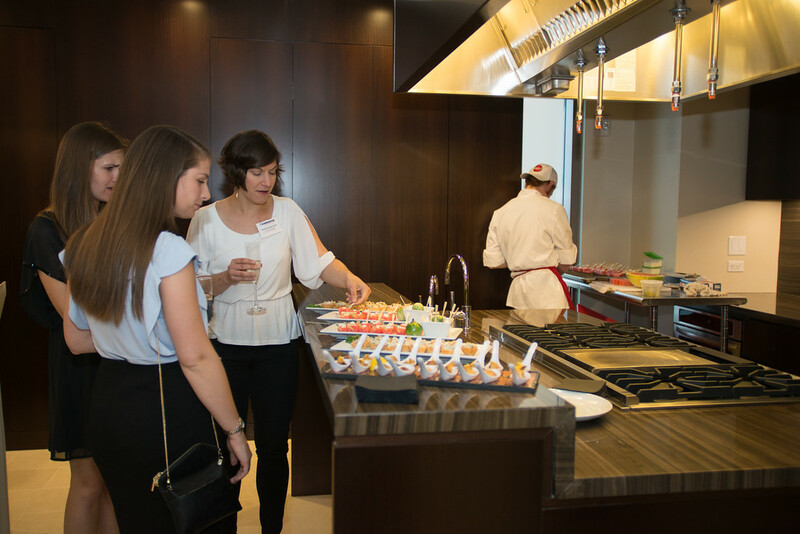 It's also an accommodating and beautiful space for hosting clients, colleagues and other special guests. Endeavor hosts a variety of laid-back, yet thoughtful events and gatherings throughout the month. Being a member is a great way to connect with the creative community and engage with the Upstate SC business community on a regular basis. "Endeavor - Finding "My Tribe!"" The Endeavor team has created a co-working space that keeps me connected to our local creative community. I am a remote employee working for a global architectural design firm. My "tribe" at Endeavor provides support within a professional environment for me to "feel" grounded within a thriving, local community while fulfilling my professional role within a global organization. "A Gem of a find!" 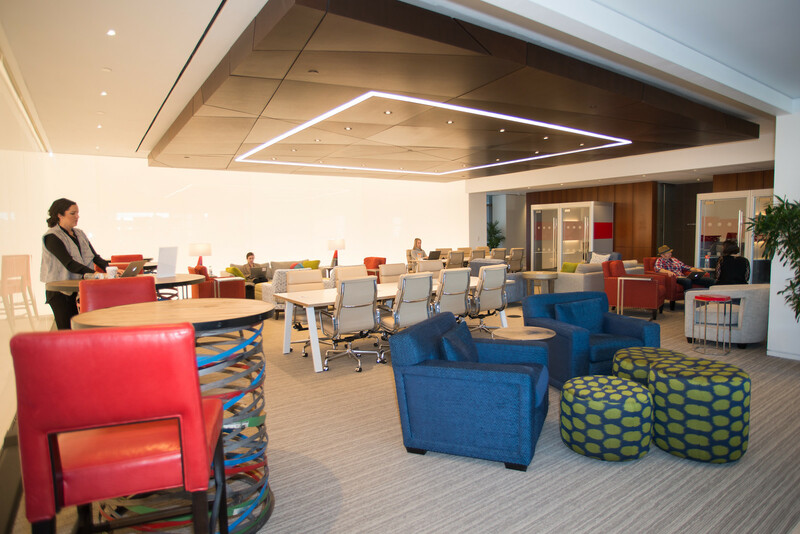 Our company was looking for space to accommodate our 5 employees in Greenville and we found Endeavor - located in a prime location in downtown Greenville. 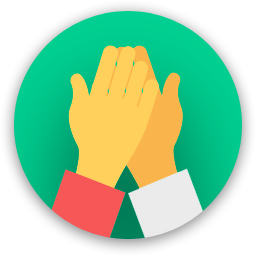 The support team at Endeavor made our moved to shared space an easy and quick process. I can't give enough accolades for their wonderful attention to detail and efforts to make us feel so comfortable as we work here each day. The quality of the facilities is top of the line and is a welcome gathering place when we bring clients in for many, many meetings. I can't imagine any better space for sharing a professional environment and added integration with other quality companies/individuals. We are approaching our first year of occupancy and have no regrets!! 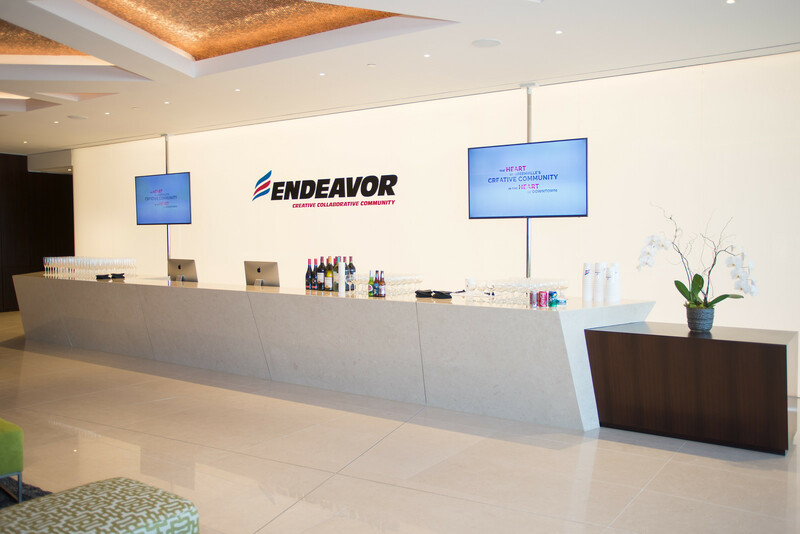 The location and amenities at Endeavor are fantastic. The staff is extremely friendly - they are always accessible and eager to help in any way that they can. Flexible hours - and check out the gym! The Wi-Fi is blazing too. Plenty o' bandwidth folks. Endeavor is centrally located to everything! Plan on taking a break and getting lunch at the very near by Caviar & Bananas or some delicious coffee at Methodical Coffee. There's also in iStore just a few feet away from the back door!! 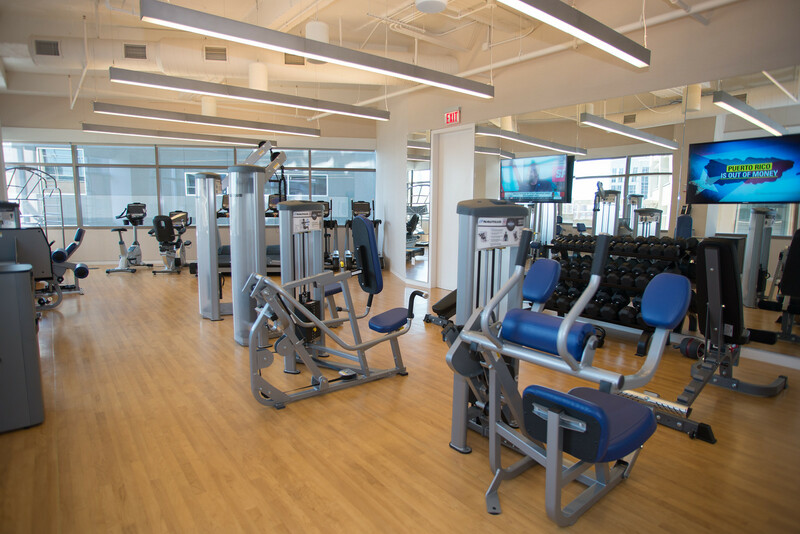 Take advantage of the private, high-end gym, as well as the central location in the heart of downtown Greenville, SC. 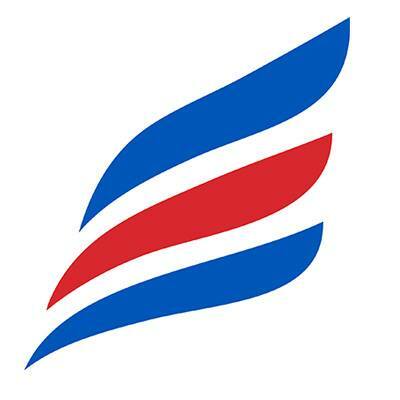 Endeavor is in the "heart beat" of the Greenville business community and will connect you with like-minded professionals! They frequently treat the entire facility to wonderful food events. And their professional speaker's tour is a must - usually happens monthly. 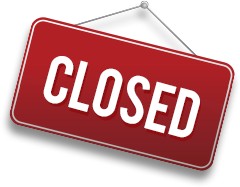 Endeavor will be in touch with you soon to confirm. Endeavor has received your membership enquiry and will be in touch with you soon.